There's never a good time to have a dead battery. The trouble is most of the time, you don't get good warning signs before your battery decides to call it quits. If you leave interior lights or the headlights on, or use the radio when the car isn’t running. Exposure to extreme high temperatures can drain a battery, though this is not a frequent occurrence in Southern California. If your vehicle hasn’t been started for a long time, chances are the battery will be dead. An alternator that is not functioning correctly will fail to charge a battery, and a battery that is allowed to discharged too much can be damaged. Improper battery maintenance. Bad cables or corroded terminals. Age. No battery lasts forever. 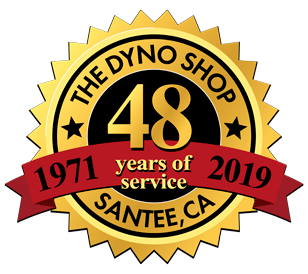 If you have a dead car battery in San Diego, Santee, El Cajon, Ramona -- or anywhere in San Diego County -- and jump starting the battery did not work, the automotive repair and service experts at The Dyno Shop can get you back on the road quickly and at a fair price. We will diagnose the problem and determine whether the battery needs to be replaced, if the problem is with a bad cable, bad terminal or failing alternator. Whatever the cause, we can make all of the necessary repairs and replace the battery with a new one. We can also make sure that your battery is properly maintained so that the terminals are clean and the cables are in good working order. 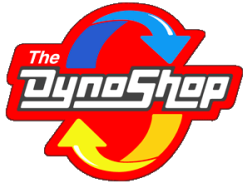 Whatever you battery or automotive needs, The Dyno Shop can get you car performing at it's best. or come on over anytime during business hours and we'll get you back on the road again.